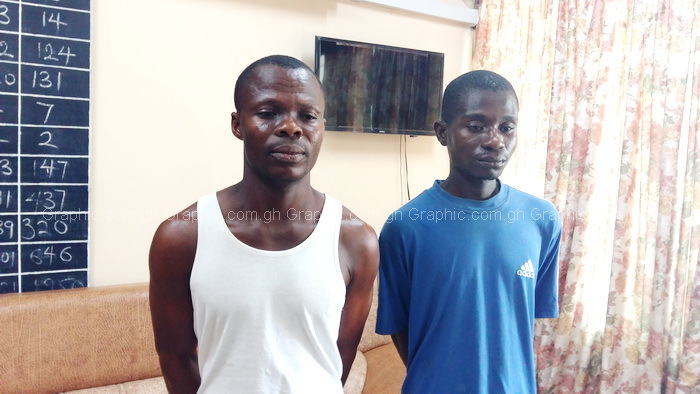 Two persons are in the grip of the Volta Regional Police command over possession of human parts. 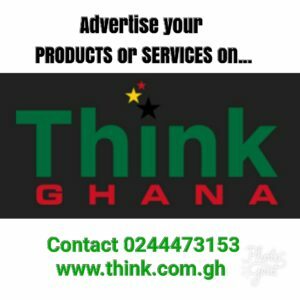 The two are 36-year-old Kente weaver, Eklu Havor and Emmanuel Opoku, a 36-year-old fetish priest. 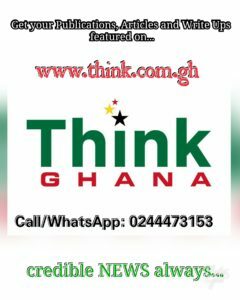 Eklu is said to have brought the head and private parts of an old woman to Opoku for money rituals. 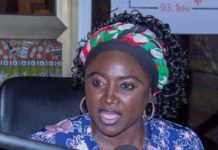 Briefing the press in Ho, the Volta Regional Commander, Deputy Commissioner of Police (DCOP) Nana Asomah Hinneh, said Opoku, on Tuesday, November 28 2017, reported to the police at Kponvie barrier on the Tsito-Asikuma road, that Eklu had brought him the body parts of an old lady to be used for money ritual. He noted that, upon arrest, Eklu, confessed to killing an 80 year old woman but claimed it was on the request of the fetish Priest, who promised to pay him an amount of Gh¢50, 000. 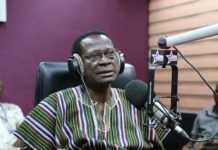 He added that, Eklu led the police to exhume the body of the old lady, which he buried in a shallow grave in a community called Dabodabo, on the road to Anum in the Eastern region. The command has therefore detained the fetish priest together with the murder suspect to assist in further investigations while the body together with the dismembered parts have been preserved at the morgue of the Regional Hospital in Ho.